The whole series is equipped with th e self-made linear motor for no friction, no backlash, no conversion loss, no vibration, high response and longer life. The best and rigid design by FEA (Finite Element Analysis). 3 large span linear guideways with a fixed table for heavy loads. Ensuring high accuracy as a small sized machine. Higher speed, more stable and energy-efficient. 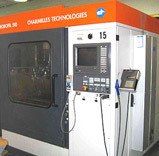 Exceptional machining efficiency and cost competition especially for very thick workpieces. 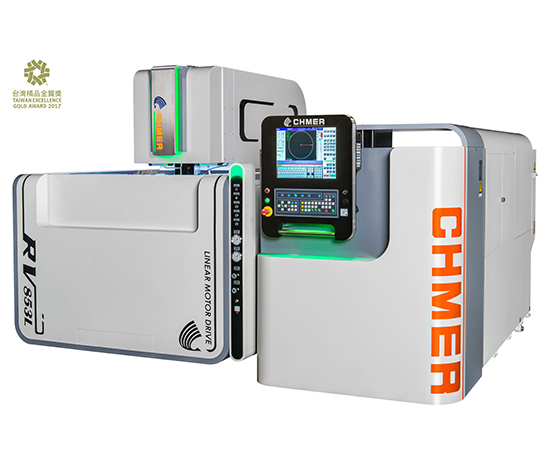 With the rich experience in automation and technology, CHMER presents the perfect AWT system. 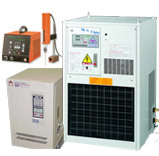 Concise and reliable design for easier maintenance, lowering the cost of repairs. Unique "EC tension control technology" for nearly 100% successful threading rate to achieve unmanned operation. Threading in the break point, under water, no need to return back to the start point and waste time in drain­ing and refilling water. 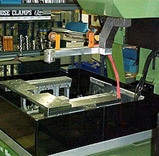 Setting the threading mode according to the cutting condition for continuous machining. With the threading assistant device (Opt. 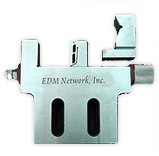 ), threading for high thickness workpiece is no longer troublesome. Automatic water level control for multiple cutting missions of different thicknesses to increase production efficiency. Easily and precisely threading in the holes of stepped workpiece. Impeccable fast and steady threading in multiple holes. Partitioned tank design to increase the filters life and provide cleaner machining liquid for high speed cutting and better roughness without wire break. The auxiliary tank for certain models using 1 less pump, compared to the last generation, for lower consumption of power and spare parts.